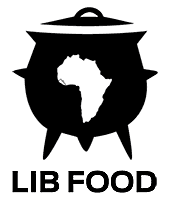 In October 2010, when our founder, Executive Chef Thalmus Hare, launched LIBFOOD, he was fulfilling a long-held passion to share the culinary delights of his country, Liberia, with not only his fellow Liberians residing in the United States, but as many people as were desirous of experiencing delectable African food. His was a passion nurtured from childhood. Chef Thalmus grew up in a household steeped in the rich culinary traditions of Liberia, which incorporates the savory soul food recipes of the African Americans settlers who immigrated to West Africa in the early 1800s and founded Liberia, with the piquant gastronomical traditions of the West African tribes they encountered. His mother, Grace Hare, owned a restaurant in Liberia called Thalgus, named after Chef Thalmus and his brother. And, though still a child, he received his first lessons in the restaurant business performing various chores in his mother’s restaurant. When the family moved to the US during the 1990s seeking refuge from the civil war raging in Liberia, Chef Thalmus developed a keen interest in carrying on his mother’s legacy. So, after completing high school, he attended The Art Institute of Atlanta where he obtained a degree in culinary arts. After graduating, Chef Thalmus decided to become a restaurateur like his mother. Bringing to bear his knowledge as an executive chef and his passion to share the culinary delights of his country, Chef Thalmus set up LIBFOOD.com, a gourmet food service company that delivers the unique African soul food experience of his country to all 50 States within the US. As LIBFOOD has grown; attracting customers across the US who rave about its mouthwatering dishes and topnotch service, Chef Thalmus has become a veritable culinary ambassador for his country. Chef Thalmus is not one to rest on his laurels. Committing a portion of the proceeds from purchases of LIBFOOD’s products, he has set his sights on building the first culinary institute in his war-torn nation of Liberia to help develop the country’s culinary traditions.